 As an elegant dress that follows and enhances the curves of the lady, so the luxury furniture products from Doppiozero39 they are always tailor made. After we Design Firmsed the tastes and characteristics of the spaces where you live or work, we reinvent the role of each room, working on the details to form a harmonious, pleasant setting. Every element is designed and manufactured starting from the demands and needs of each individual customer, from the study of the spaces in which it will be placed, we then will select the highest quality raw materials. The manufacturing process is the time in which it expresses the skill of the craftsman, who transforms the already lofty materials into a masterpiece. We allow the synergy between these elements to flow as one: design experience, the excellence in the use of materials, impeccable workmanship. Making each creation of Doppiozero39 an admirable work. This uniqueness has enabled the company to establish itself on the international market, bringing the excellence of Made in Italy to exclusive locations around the world: chalets in Switzerland, offices in London and New York skyscrapers, mansions in Russia, luxury furnishings in the palaces of Shanghai and Dubai, offices in Japan and India. Our selection of wood materials come from of over 200 types of wood species, from the classic and traditional to the most exotic. We can offer our customers the best solid woods and the best veneers. Our strong relationship with the area's textile publishers would allows us to manufacture any kind of interior design projects, both in contract and in Residential. Thanks to a selection of cutting-edge leather and exclusive design works, our range of services can cover from classic decor to modern styles. Our selection of this precious material ranges from classical glass sheet to the finest works of art, made by master artisans of Murano, following their century-old tradition of fine craftmanship. Our metal masters offer unlimited possibilities for every interior design project to meet every requirement for the customers. Over the years we have realized bronze castings for the classical sector and engravings laser modern furnishings.